“Northbound,” directed by Jørn Nyseth Ranum takes looking at the world through a different lens to the next level. Watch Norway’s Hermann Stene, Didrik Galasso, Henrik Lund, and Karsten Kleppan building sandcastles in the sky. Ice, driftwood, foamy waves, and you'd never guess...skateboards. 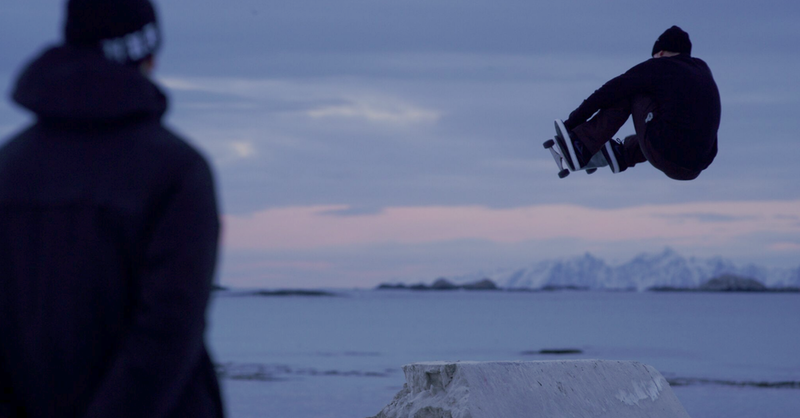 Four skaters head north to the cold Norwegian coast, applying their urban skills to a wild canvas of beach flotsam, frozen sand and pastel skies. The result is a beautiful mashup — biting winds and short days, ollies, and one ephemeral miniramp.